It’s a scene that gets repeated all over the country every spring: the warm weather has arrived, owners are eager to get their backyard swimming pools open and ready for action, and in their haste they make one or more of some very common mistakes. In the best case scenario, these mistakes can keep you out of the pool longer than you had planned while you correct them; worst case scenario, they can result in expensive damage to your pool and mechanical systems. Failing to brush the pool. Vacuuming a pool can remove much of the accumulated dirt and debris, but it isn’t effective in getting the floor and walls of a pool clean. That requires brushing. Shocking the pool during the day. Sunlight burns off approximately 1 part per million (ppm) of the shock per hour. Shocking the pool at or after dusk allows the chemicals to do their work effectively. Trusting algae cleanup to an automatic cleaner. The fine mesh bags on robotic cleaners quickly become clogged with algae, and instead of being trapped, the material just gets spread around the pool. An algae problem requires manual clean-up. Excessive backwashing of the pool filter system. Backwashing is an important part of pool maintenance, but it only needs to be performed when the pressure gauge indicates a 10 psi increase over the normal just-backwashed pressure. The particles that cause the pressure increase actually help the filter do a better job of trapping material up to that 10 PSI point. Ignoring alkalinity and pH levels. Low pH can cause damage to pool equipment and high pH can cause a number of issues including cloudy water and a burning sensation in the eyes. An improper alkalinity level prevents the chemical from stabilizing the pH level as it should. Adding shock through the skimmer. When pool shock (calcium hypochlorite) and chlorine are combined, gas is produced. In systems that have an automatic chlorinator, the shock and chlorine mix there and can produce an explosion. Putting shock directly into the pool. Shock is very concentrated chlorine. If shock granules sink to the bottom of the pool before they dissolve, they can bleach and damage the liner. You should always dissolve shock in a bucket of warm water and add it that way. Failing to use calcium harness. Calcium hardness makes your pool water hard, which can help prolong the life of the liner or other pool surface and your filter system. In many cases, calcium hardness only needs to be added at the beginning of the season to get it to the appropriate level (approximately 200 – 250 ppm). Not properly circulating the pool water. Every pool is different. From the size and type of pump in use to the size and distance of the plumbing run. Make sure that you turn your pool water over at least twice a day. The more you turn over in a 24-hour period, the better. 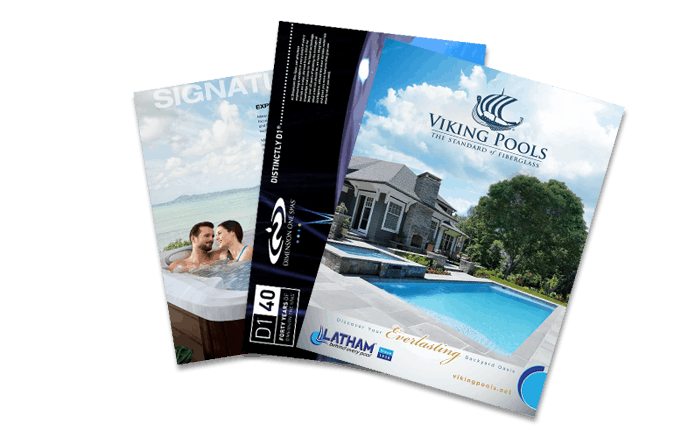 Your local pool dealer can better help you determine the recommended rate for your application. Failing to stay on top of pool water chemistry. It doesn’t take long for water chemistry to get out of balance. You should check your water at least weekly if not more often. Swim season is right around the corner. Be sure you take the time to open your pool the right way. Then you have all summer to enjoy it! Questions? Don’t hesitate to contact us.